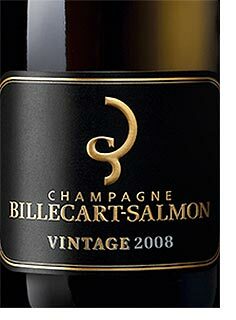 Billecart-Salmon and Uncorked go back a long way. Scion of the family Nico did a sort of internship many years ago. Their 2008 is an extra brut comprising 65% Pinot Noir from Reims and Vallee de la Marne including Ay and 35% Chardonnay from mostly grand cru sites in Le Mesnil, Chouilly, Cramant and Oger. After careful vinification and 9 years on its lees, the result is a beautifully intense Champagne with white flower and Sicilian lemon notes on the nose and a balanced palate of citrus, stonefruit and a lightly creamy, brioche character. Very long, very complete and very enjoyable. It clearly has immense ageing potential and promises pleasure at every stage of its evolution. Earlier this month in Ay, I tasted the Bollinger vins clairs, and was genuinely astonished by the variety, quality and intensity on display. A vins clairs tasting involves tasting base still wines from diverse sites; these will eventually be blended and given a second fermentation to arrive at the final, bubbling Champagne. There's no better way to get to the heart and soul of a Champagne house. Now, I was tasting the base for Bollinger Special Cuvée, but when you confine your choice to base wines only from such a good vintage as 2008 and use only the wines from premier and (mostly) grand cru sites, you get something really special. This is it.